The Central Coast covers a huge stretch of the California coastline and can be divided into two distinct growing regions, north and south. The north part of the Central Coast is home to the Livermore Valley, along with the Santa Cruz Mountains, Monterey, and Carmel Valley, among other smaller AVA’s. The north Central Coast region produces a wide variety of grapes with some areas favoring Pinot Noir and Chardonnay, others producing excellent Cabernet Sauvignon and Sauvignon Blanc, and still others planting varietals like Riesling, Viognier, and Gewurztraminer. The southern part of the Central Coast stretches from Paso Robles in the north to the Santa Maria and Santa Ynez Valleys in the south. The grape varietals here range from the Rhone varietals, like Syrah, Grenache and Mourvedre, to Italian varietals like Barbera and Sangiovese, to Burgundian varietals of Pinot Noir and Chardonnay. You’ll also find the quintessential American grape, Zinfandel, grown here. 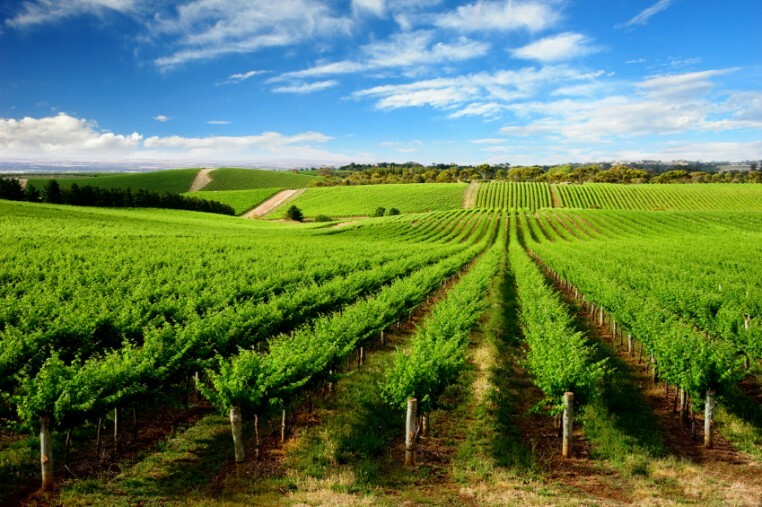 The Livermore Valley lies east of the San Francisco Bay and has been home to vineyards since the early 1880’s, when pioneer winemakers C. H. Wente and James Concannon first planted here. Both wineries are still in operation and still family run. While this region grows several different varietals, 80% of California Chardonnay can be genetically traced to the Livermore Valley. Winemaking didn’t become serious business in Monterey County until the late 1950’s when urbanization in the Livermore and Santa Clara Valleys. Coupled with information released by UC Davis that cooler coastal climates would be ideal for producing fine wines, Monterey County winemaking was born. This region produces world class Pinot Noir and Chardonnay, but 40 other varietals thrive here as well. Notable AVA’s include Arroyo Seco, Carmel Valley, and Chalone. The Santa Cruz Mountains is a magical combination of mountains, marine influence, unique micro-climates, and varied soils that produce fantastic California wines. Many varietals are grown here by an eclectic group of winemakers.